Caption slip reads: "Photographer: Sansone. Date: 1958-04-17. Reporter: Dunn. Assignment: 'You Auto Buy Now Week' campaign. 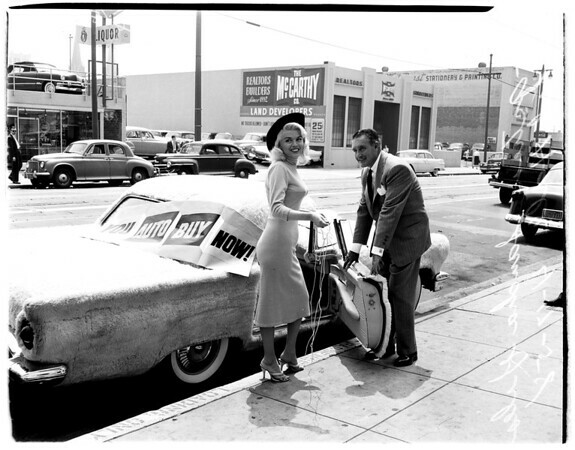 Phil Hall, campaign chairman of 'You Auto Buy Now' campaign, and Actress Sandra Giles, 'You Auto Buy Now Girl' with her Thunderbird car covered with a synthetic fur called Pouff".